One of the most difficult things about creating a book cover is selecting a font. I'll try Impact and maybe Engravers MT and then reach for Lucida and then ... you get the idea. 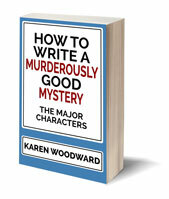 It's a hodge-podge of guesswork. Eventually I'll trip over something that works but there's got to be a better way. Derek Murphy has come to the rescue. DM takes some of the guesswork out of selecting a font by arranging them by genre. His article, entitled 300+ Fool-Proof Fonts to use for your Book Cover Design (an epic list of best fonts per genre), is a keeper. More good news: many of the fonts are free! 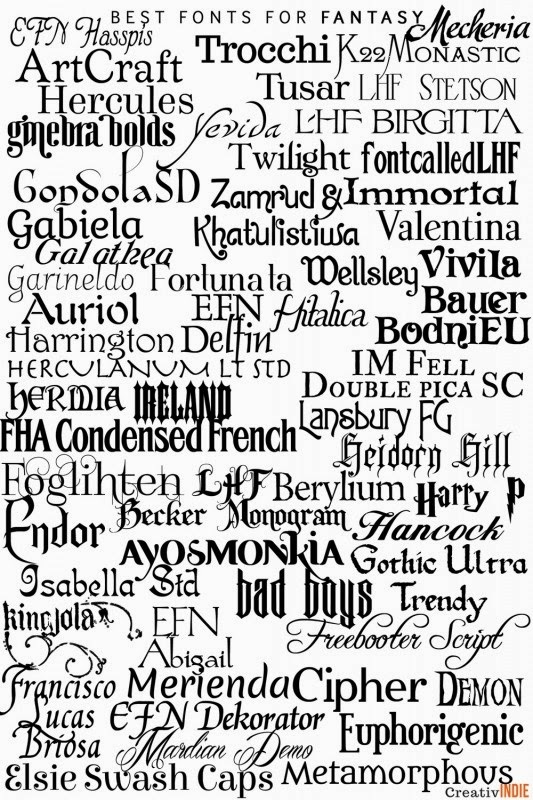 In the image, above, I've included Derek Murphy's font recommendations for fantasy. Head over to DM's site to see the others. A valuable article. 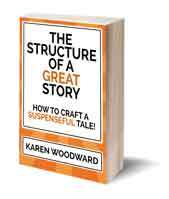 If you liked this article you might also like: How To Design A Great Looking Book Cover. Photo credit: Fantasy Fonts by Derek Murphy over at Creativindie.com. Most inspiring thing I've seen all day, and my day stands at 6.37 PM. Thanks!